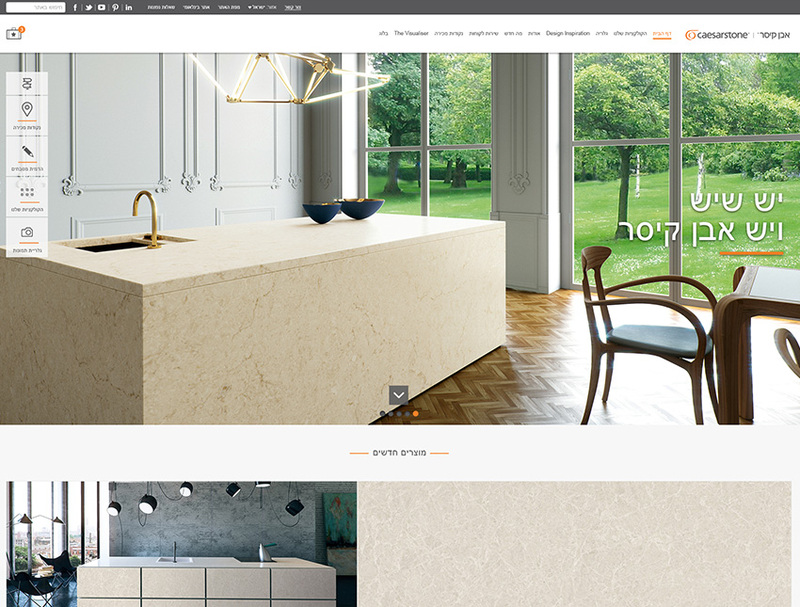 Caesarstone turned to us in request to redesign several central pages in their marketing website. 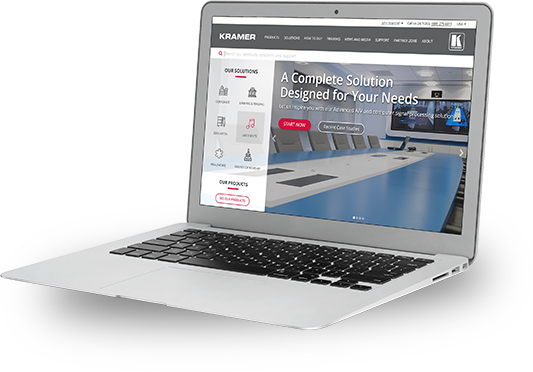 The fact the project focused only on a part of the website, required us to cosider the limitations of the existing website structure, and achieve business success while incorporating insights from our research in an existing framework. 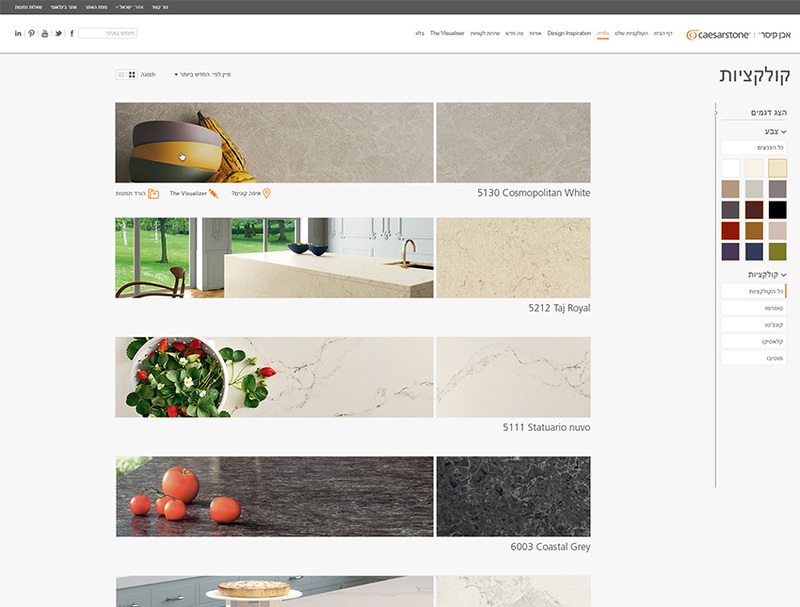 During research, we inspected behavior patterns of website users, and analyzed the different customer requests from Caesarstone’s digital customer care. That was, in fact, a main way to learn about the topics that customers are interested in, at various touchpoints with Caesarstone. 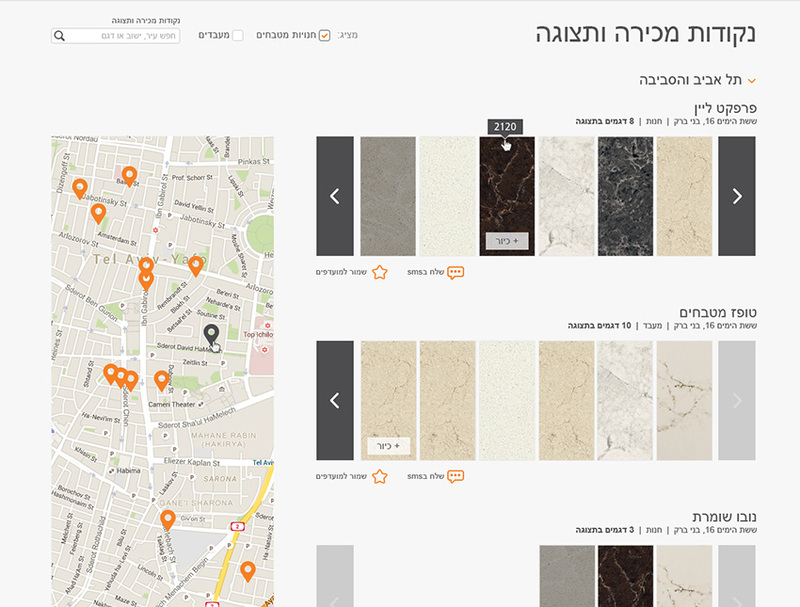 Along with the information we received from the marketing team in Israel and abroad, we had a full picture about the differences between customers in different countries, and the adjustments necessary for each country’s website. 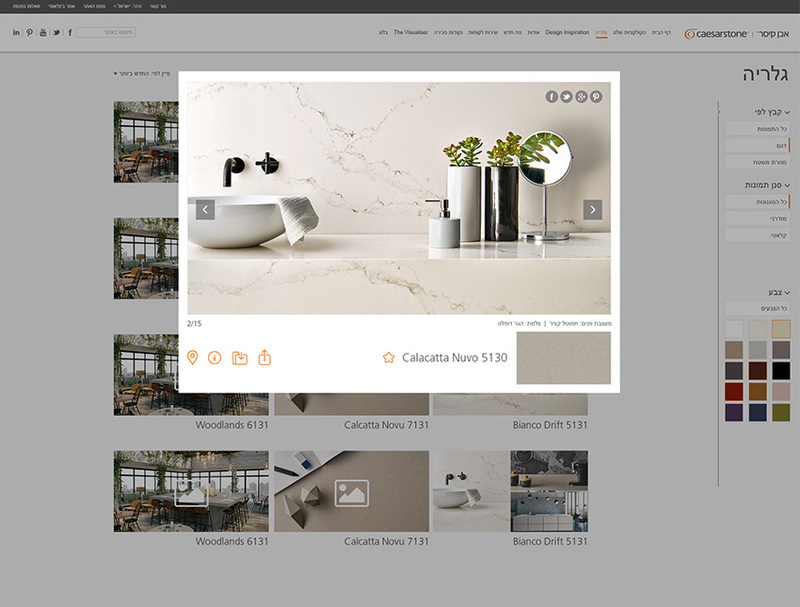 The customer journey for products like Caesarstone’s quartz surfaces is long, with many touchpoints, both digital and analog: website, phone, retail stores and more. The website has an important role in the process, but the actual purchase is made in a store or via a designer, and not online. That’s the reason why our main task was to motivate the customer using the website to actions that would promote purchase through other channels. Product Strategy, UX & UI Design. Uniq UI’s team was creative, professional, and knew how to adjust the product to our needs. We reached a result that we can be proud of.